Since he was a young boy, AUSUN Finance property portfolio manager and 2018 Top 100 Brokers finalist Thomas Tang has wanted to serve his country. Inspired by his grandfather, who saw combat in World War II, Tang considers it an honour to be able to defend his country when the need arises. 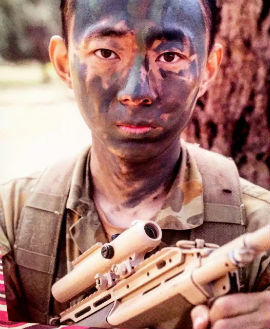 Motivated by this strong desire to serve, while he was a student Tang participated in the Melbourne University Regiment officer candidate program designed for potential army officers. Tang told MPA that, aside from giving him the opportunity to protect his country, the program also provided professional training sessions that developed his teamwork and leadership skills. Despite the program’s gruelling training, great expectations, and high drop-out rate, Tang remained committed to what he signed up for. “You learn to survive as a team and fight for one common mission – a most satisfying feeling you can hardly get outside the army,” Tang said. Today, Tang uses many of the values and processes he learned from officer training in his broking service. He wants his team to think of themselves as one unit in order to take on bigger missions and achieve a greater sense of fulfilment.